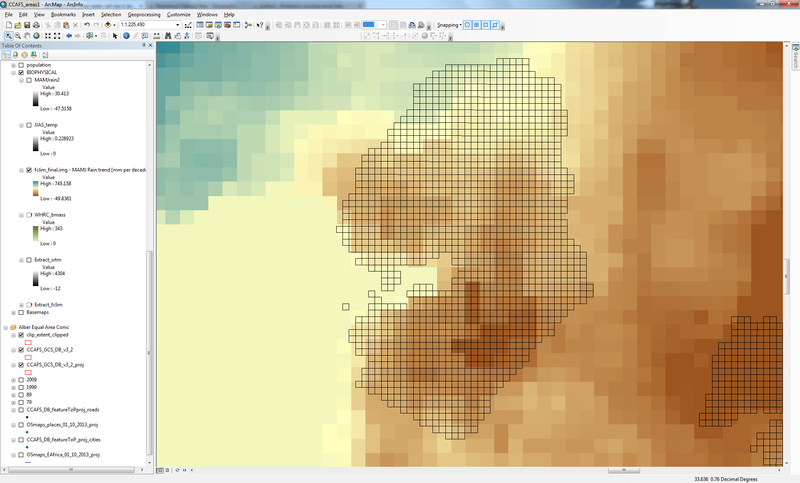 I am trying to extract the mean cell values for a raster dataset based on a survey grid polygon feature using ArcINFO 10.1. 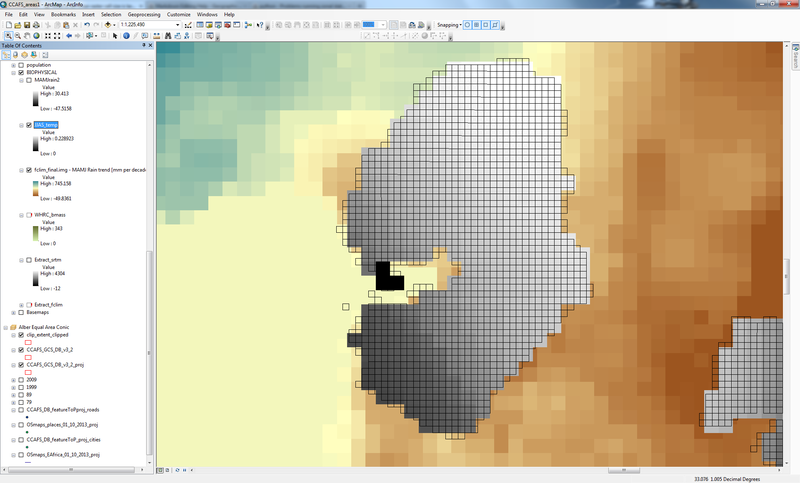 The cell size of the raster dataset is about 4 times the size of the survey grid. I have around 3000 grid cells, using 'zonal statistics as table' tool I get only around 600 results evenly spread about the survey grid. Obviously not the result I am seeking. 2 things have gone wrong with this output (that may not be immediately evident in the image): the cell size of the output raster is still about 4X larger than the feature zone, survey grid polygons; and secondly the raster cells are not coincident with the feature zone survey grid polygons and indeed no longer coincident with the original raster dataset from which it was derived! My question is: How can I calculate the mean value of raster cells/pixels residing within the smaller survey polygon grids? Is it a matter of using a different method of breaking up the raster cells or is there another method I should try? what I would recommend is to avoid zonal statistics when your zones are smaller than the pixel size, especially in your case where you have a regular grid. Instead, you should get the centroids of your polygons, then use the extract multiple value to point. There is an option for the interpolation. Make sure both rasters are in the same projected coordinate system if they aren't already. Use the Resample geoprocessing tool to reduce the cell size of your climate data to a size less than or equal to your zones. For the resampling_type parameter, I would suggest using BILINEAR or CUBIC since your data are continuous; this will interpolate cell values to create a smoother surface. Run Zonal Statistics using your projected and resampled data. Alternatively, you can adjust the Cell Size environment variable to control how Spatial Analyst conducts its internal resampling of layers. However, I prefer to be able to see the resampled data as output from the Resample tool for QA/QC of the Zonal Stats raster. Not the answer you're looking for? Browse other questions tagged arcgis-10.0 raster arcgis-desktop spatial-statistics zonal-statistics or ask your own question. How to combine two rasters based on the relationship to a polygon mask? ArcGIS TabulateArea() :: Recommend Ratio of Zone Area to Value Raster Cell Size?